Fasgadh is a bright and spacious, centrally heated three bedroom property accommodating up to 8. It has been extensively re-decorated and modernised in 2013 and is comfortably furnished and appointed to meet all your needs while on holiday. The main bedroom can be made up with a generous king-sized bed or twin beds and has an en-suite shower room (with wc, wash basin & shaver point) and also has ample wardrobe and storage space. 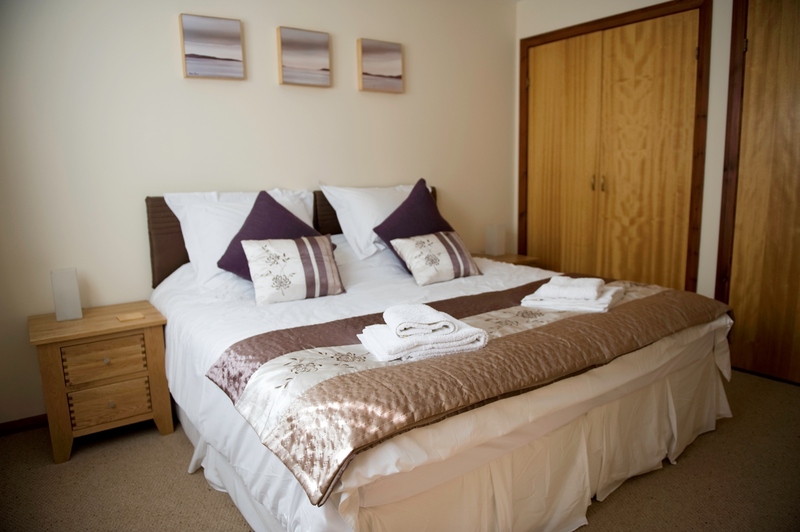 The second bedroom can also be made up with a generous king-sized bed or twin beds and also has similarly ample wardrobe and storage space. 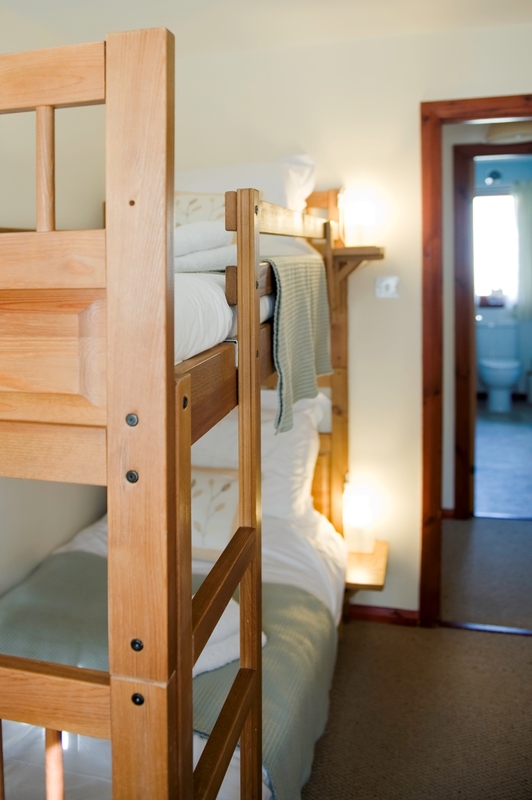 The third bedroom has a set of full sized bunk beds which can equally comfortably accommodate two children or two adults, and again storage and wardrobe space is ample. The dining area also enjoys views to the front of the property overlooking the hills and loch. 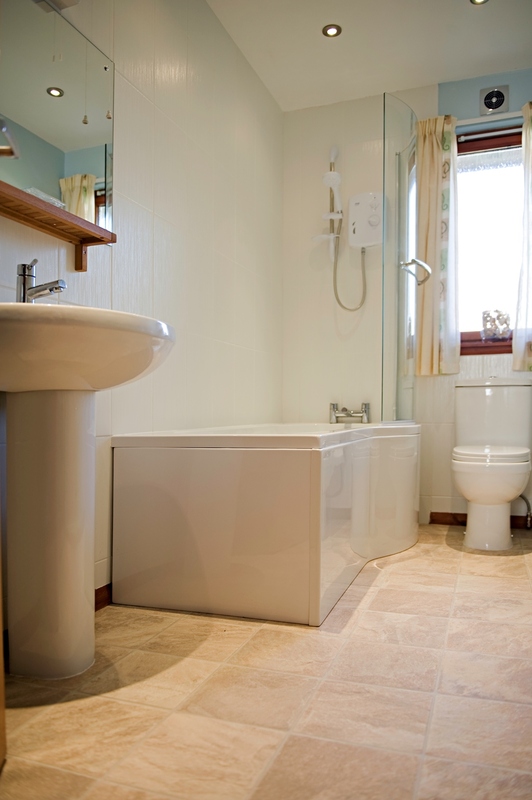 Connecting directly to the dining area is a well appointed kitchen which is fully equipped with all your needs for self-catering while on holiday and which leads to a utility area and the back door. 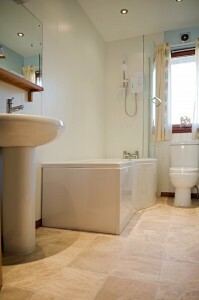 The main bathroom (in addition to the master bedroom’s en-suite shower and toilet) is bright and contains a fully fitted suite comprising a bath, shower, wc and wash basin with a large mirror, shaver point and ample storage space for all your toiletries. The pretty garden contains many flowering shrubs and grass areas and there is a sunny, south-facing patio area accessed by the back door. There is parking for two cars and also a shed which can be used for storage of bicycles or muddy/wet walking boots and clothes etc. A selection of children’s books, games and toys is available in the property, along with a cot and high chair. For adults there is a selection of books, dvd’s and tourist information. 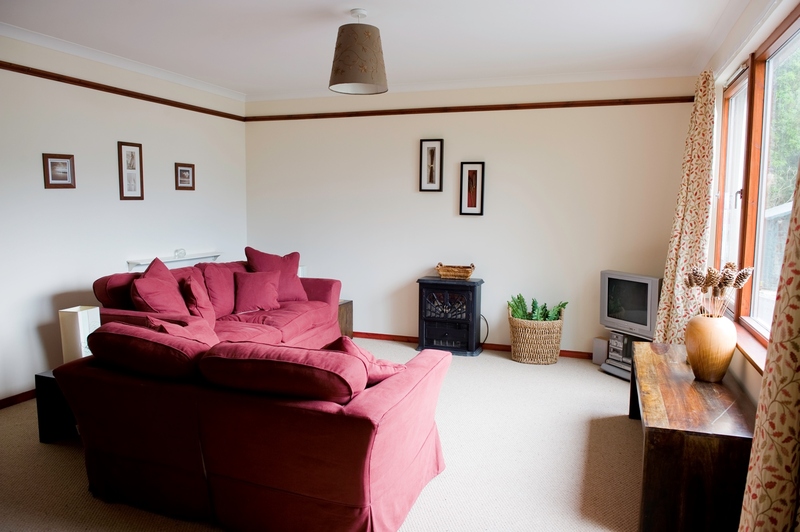 There is no landline in the property but there is a good mobile phone signal and a complimentary WiFi connection. As the broadband service from our local rural exchange is quite slow, and that directly affects the Wifi signal, then it means that the Wifi connection is not the best and sometimes a bit slow. We are sorry but this is something beyond our control – although we continue to lobby for a better broadband service. 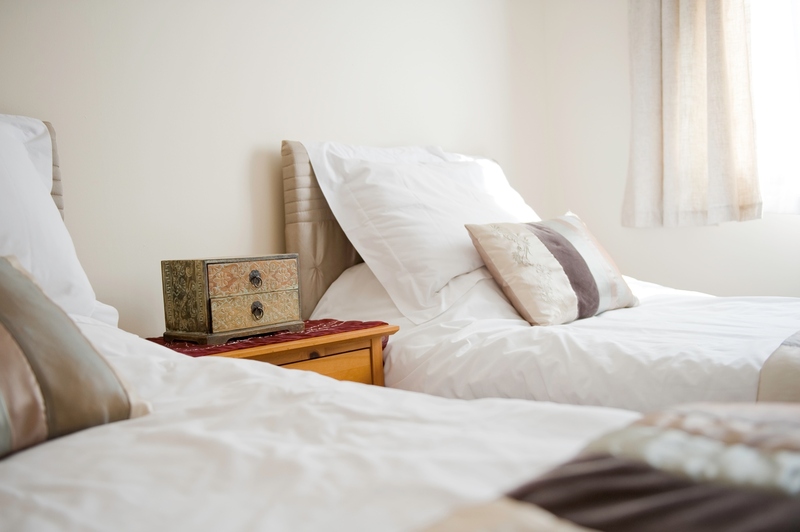 Unlike many self-catering properties, the fully inclusive hire charges include all bed-linen and bathroom towels, kitchen towels and cloths, basic cleaning materials, and also the complimentary welcome pack mentioned in the introduction. Electricity is also included (however this has on occasions been abused so we have reluctantly had to limit this to average use and introduce a charge for excessive use of electricity). How does this work? If you use anything up to 10% above the average usage for your period of hire you will not be charged anything extra. If you use more than 10% above the average usage for your period of hire you will be charged only for the excess usage at cost, and this will be deducted from your deposit. What does this mean? For the vast majority of guests it means there will be nothing extra to pay. The property is normally available weekly from Friday to Friday; weekends from Friday to Monday or mid-week from Monday to Friday. Occupancy is from 4 pm on the day of arrival to 10 am on the day of departure, unless alternative arrangements have been made. For any alternative dates or entry arrangements, please enquire.